On his fifteenth birthday, Monty is at rock bottom. Ignored by his parents, bullied at school, and with a brain that’s prone to going walkabout, he’s all by himself. Until he meets the black dog for the first time. It’s just like any other dog, except that only Monty can see it. And it talks. And Monty’s not sure whether it’s a friend, or a foe. The black dog gets him talking to pretty, popular Eliza Robertson for the first time. It takes him to places he’s never been. Eventually it will take Monty, and the people around him, to the very edge. Fifteen year old Montgomery Ferguson is inconspicuous, isolated and estranged from his peers. His father is a quiet, pragmatic man, his mother is preoccupied with a theoretical intruder, unresponsive and negligent. Monty is malnourished, his emancipated, skeletal body disciplined to survive without nutrients, his dishevelled appearance obscuring basic hygiene. His only friend an online German young man using a translator to communicate and a black canine apparition. The Black Dog is a solemn metaphor representing mental health, depression and suicide. Throughout the narration, the Black Dog manifests as a presence only apparent to Monty, communicating with one another as the Black Dog attempts to manipulate his fragility. Eliza is a callous young woman and although revered by her peers, is isolated through the weight of expectation. Although characters of contrast, Eliza and Monty begin to seek comfort in one another, an understanding and fictitious companionship. Monty is enchanted by Eliza and it soon becomes apparent that he is dependant on the cruel and indifferent young woman as the Black Dog encourages Monty to pursue her. Monty is an intelligent and fascinating character, although quite unlikable. The relationship with his parents is constrained and the Black Dog metaphor excuses his cruel behaviour towards his mother who is mentally unwell. Monty is malnourished with an undiagnosed eating disorder, restricting his intake as a mechanism of control. Experiencing a dissociative disorder, Monty often disconnects with his environment, unable to communicate while his body continues to moves unconsciously. Environmental, psychological, and hereditary influences seemingly have contributed to his mental health and I was disappointed that parents and the teaching facility were unable to recognise that Monty was in distress. 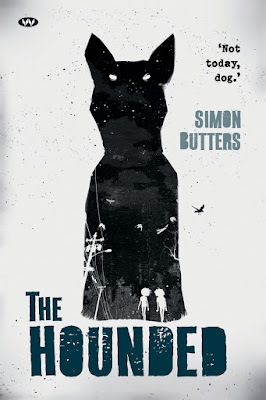 The Hounded is a captivating and courageous understanding of mental illness, the narrative confrontational as fifteen year old Montgomery, limited by opportunity, is a consequence of his environment. Whew. Just reading your review, I can feel the immensity of these themes. I don't exactly know if it's my cup of tea just yet, I feel I need to digest these elements. 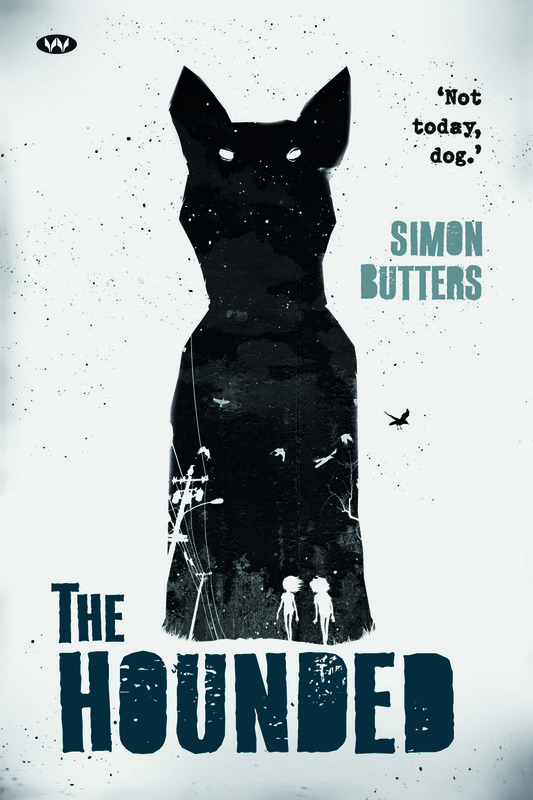 I think the Black Dog representation can be so confronting, so the author would have to portray this sensitively. Thanks for the heads up on this title too! I think it was genius to portray mental illness as an influence on our decision making, allowing young teens especially to grasp how mental illness effects each individual differently. It's written with sensitivity and although I found Monty unlikable, I still really enjoyed it. Seeing children withdrawn from activities when they're usually very boisterous is usually a sign of something much deeper that could be happening. Most primary caregivers can pick up on the changes in children. I think the adults in Monty's life let him down though but happy to report that it gets better for Monty and he really does deserve a happier ending. That sounds like a poignant and interesting story. Books about mental illness can be tough to read in general, and this one sounds even tougher. I already feel for Monty. It's confronting but beautifully written with sensitivity and care. It was a really interesting take on mental health and how illness manifested as a looming influence. It will give young readers a greater understanding to be able to see mental illness as a character within the storyline. It was incredibly clever. That sounds pretty intense. Have you read Neal Shusterman's Challenger Deep? It sounds similar - yet not as dark as this one. I haven't yet Karen but I have that one on my shelf actually. It's not necessarily dark but it deals with mental health and illness in such a wonderfully honest and courageous narrative. This sounds like a very good read on mental illness, one that takes you inside using literary mechanisms rather than a memoir which are a dime a dozen these days. Great review! Thanks Rebecca and couldn't agree more. Even as an adult, I found it gave me a new perspective and really discussed mental illness and wellness with great sensitivity. He's not scary, quite the opposite really. He's very placid and wants to go through live unnoticed. His transformation is incredible as he comes to term with his own mental and physical wellness. I haven't read very many books that deal with mental illness, but I love the concept for this book. It's intriguing and sounds very thought-provoking. Adding it now! Thanks for sharing this! I love the quotes you've included! It makes me want to read these right now, lol. Did you read these back-to-back, or did you read other books between? Sometimes I like to read a series in its entirety, and other times I like to space them out. It really is a great read, would love to see what you think of it! What an intriguing book. I like books that focus on mental health, but that is a bit upsetting that his parents (or at least the school) didn't notice symptoms of his eating disorder, at the very least. That's something that should have been obvious. I think the idea of Monty as a symbol for depression, etc. is an interesting metaphor. Thanks for sharing- I hadn't heard of this one before. It's a fascinating read Lauren and one I think you would really enjoy. Using the Black Dog as a metaphor for Monty's mental health was interesting, something I haven't seen used in young adult before. I thought the cover was a cat! lol it must be the ears (also I didn't look at the title, oops). This sounds like a complex read, but I do love books that tackle mental health; it sounds like this does that head on. And with sensitivity too. I was swept away by Monty's narration.